The vigorous debate about Confederate statues that exploded in the wake of Charlottesville and continues today provides a useful entry point to a broader conversation about the nature, planning, and design of public commemorative landscapes. 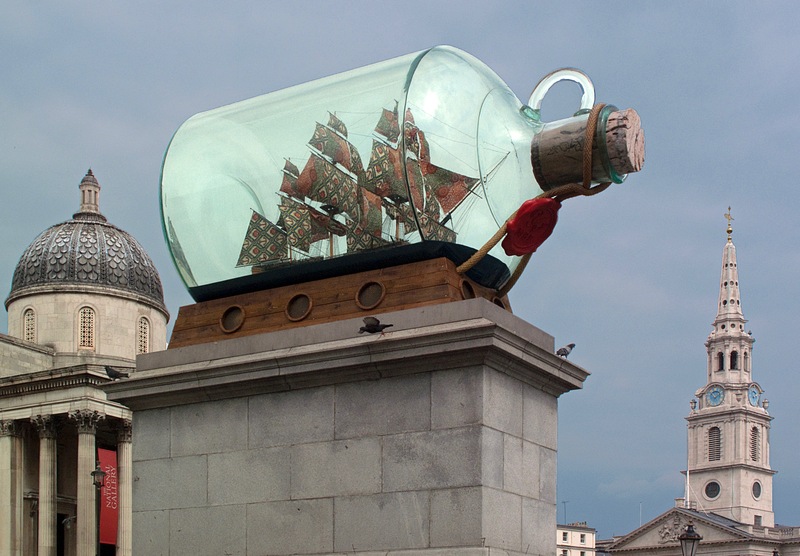 Scholars generally agree that monuments condense, simplify, and often distort complex histories. They are produced selectively, by those who have the power to choose how history is remembered in public places. This makes monuments powerful instruments for shaping public memory and individual ideologies. At the same time, the social meaning of monuments is always in flux and even contradictory, because the world around monuments is never fixed. An evolving social context changes how they are seen and understood. This dynamic presents a challenge to planners, preservationists, developers, designers, artists, civic leaders, and other citizens concerned about the identity and collective soul of their communities. 1. Retain them: Confederate statues are artifacts of history; they are part of the historical record. Removing them would constitute an erasure of history and heritage akin to what happened under Stalin and is happening under ISIS. It would lead to a forgetting of important events and eras. It would erode the “shadow curriculum” that supplements how we educate ourselves and our children. An American public history should be “warts and all”; it’s what separates democratic government from totalitarian regimes. 2. Remove them: The vast majority of Confederate statues were constructed as the Civil War was passing into the realm of “post-memory.” In that realm, they were clearly intended to function as instruments of propaganda serving an oppressive, Jim Crow culture and the cause of white supremacy. They are needlessly provocative to those whose ancestors suffered from that oppression. It’s best to destroy them, or lock them away. Such removal is not inherently problematic, nor revisionist. In some sense, all historical scholarship is revisionist given that scholars always interpret and write the past from particular points of view. In any event, the history of the Confederacy is pretty well-known. Removal of its monuments changes nothing. In fact, removal conceivably represents a more thorough coming to terms with the Confederacy’s past and its legacy. 3. Relocate them: Put Confederate statues in museums where they can be more fully and appropriately interpreted as artifacts of a by-gone era. This is an effective way of changing their post-memory context, and breaking its captivating spell. Or, put them in cemeteries. Or, follow the lead of post-Soviet Eastern Europeans and put them in a special context akin to Memento Park in Bucharest or Grūtas Park near Druskininkai in Lithuania. 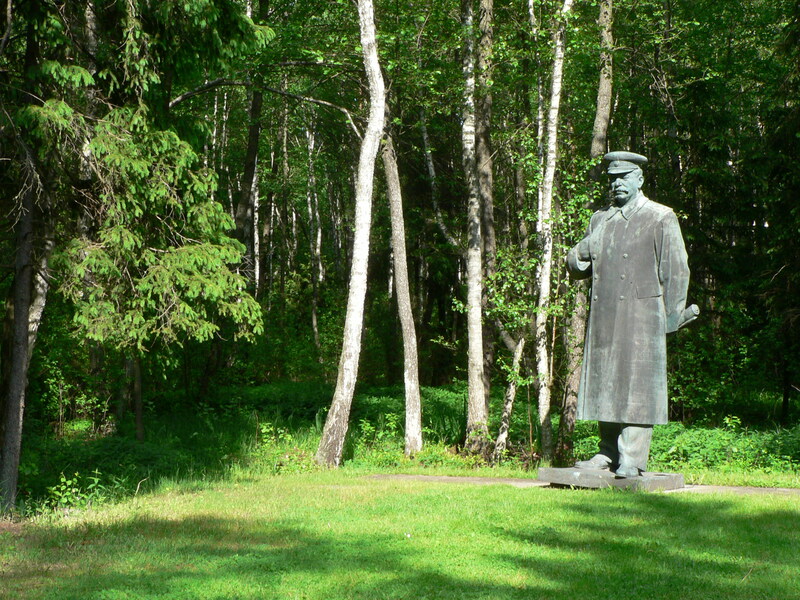 Here, Joseph Stalin is remembered as part of a larger collection of Soviet-era statues, sculptures, and artifacts. 4. Re-interpret them: Add plaques to existing Confederate statues containing text that better describes their conditions of emplacement and their intended effects. Or, add new counter-monuments (e.g., statues of abolitionists, slave resistance leaders, or African-American dignitaries) that can create a “dialogue” with Confederate monuments. The city of Baltimore actually had such a dialogue before the Stonewall Jackson and Robert E. Lee Monument was removed on August 16, 2017. Its placement at one corner of Wyman Park in 1948 was balanced by a Union Soldiers and Sailors monument placed diagonally at an opposite corner in 1959 (for details, see here). 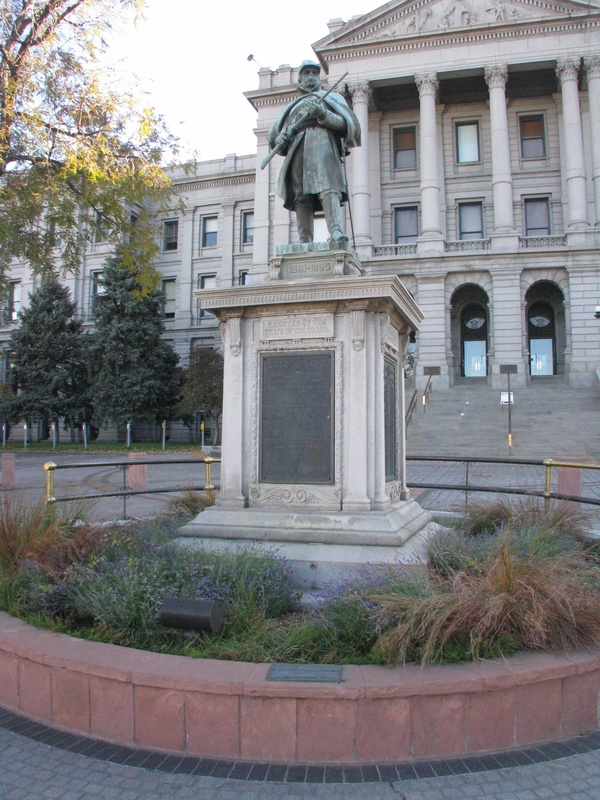 An alternative model of dialogue that was discussed in Denver last week is represented by the Civil War Monument that stands in front of our state capitol. Installed in 1909, it commemorates 18 battles between Colorado Volunteers and Confederates, but also four “battles” between Volunteers and Indians, one of which is the infamous Sand Creek Massacre of peacefully camped Cheyenne and Arapaho men, women, and children. A small plaque installed at the pedestal’s foot in 1999 corrects the monument’s interpretation of Sand Creek. However, the difference in scale and visibility between the two markers doesn’t exactly make this an equitable exchange of ideas. A sample of observations that I collected last week from scholars, artists and preservationists, citizens, and pundits (e.g., here and here) suggest a nearly equal distribution of sentiment across these four categories. No one category dominates the others. Thus, the debate is a long way from settled. Some of the more intriguing suggestions about what to do with the statues don’t fit into any of these categories. Megan Kate Nelson, an independent scholar who studies Civil War monuments, suggests intentionally Ruining them. Blow them up and put a plaque next to the broken pieces that explains the monument’s life and death. This would convert a symbol of oppression into one of resistance. Kriston Capps suggests Re-purposing them. 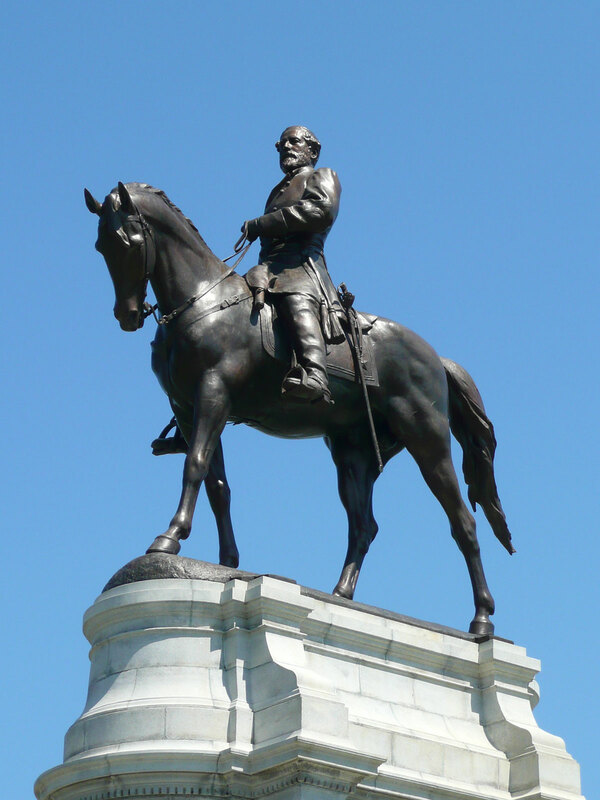 The pedestals on which Confederate monuments stand would make lovely settings for statues of other heroes, or quirky and/or socially-redeeming public art, akin to the Fourth Plinth program in London’s Trafalgar Square. Archaeology is dedicated to the production of historical knowledge, not the automatic preservation of things. We’re probably the only historical science that, in the act of collecting data via excavation, simultaneously destroy it. One cannot excavate, collect, and preserve everything. Historical data gained is also historical data lost. The challenge is to be disciplined; to frame research questions and methodologies that maximize information recovery while minimizing damage to a non-renewable resource. Monuments are never solely about the past; they are always about the present. Sometimes they are more about the present than the past. Monuments were routinely used in past societies to revise and romanticize history in ways that suited the purposes of those in power. The greatest monuments were often constructed even when there was nothing and nobody to commemorate, implying that their main underlying purpose was simply to consume human labor. They were subject to vandalism and toppling by would-be rulers with competing claims to power. Monuments have served these, and other, political purposes throughout human history. Insisting on the preservation of things for our particular scientific purposes, or simply because “they are there,” can ride roughshod over the legitimate interests of others. Professional archaeologists were forced into some very painful soul searching about the nature of material things when passage of a federal law required them to repatriate to Native American tribes ancient artifacts that were procured during a time of colonial exploitation, or stolen from native lands and sold to cultural institutions on the black market. Compliance with the law necessitated some significant emptying of museums and research centers. However, it also taught us the virtues of a professional ethics rooted in collaboration, and in knowing when it’s appropriate to yield control over material things to others. This last lesson implies that the process that’s used to make decisions about the planning or re-making of public commemorative landscapes is crucial. The toppling of controversial monuments by a mob, or their removal under cover of darkness by public officials, is not an ideal way to proceed. Archaeologists have learned that collaboration with others, and the thoughtful, self-conscious balancing of competing interests, is key: balance between remembering and revering the past, between confronting the past and respecting the needs of the present (and future), between service to self and service to others, between commemorating particular histories and a common heritage, and between removing and preserving things. Plans for creating or re-making a civic monumental landscape that balance these and other interests is only befitting our status as citizens in a diverse, multi-ethnic society that aspires to be inclusive.